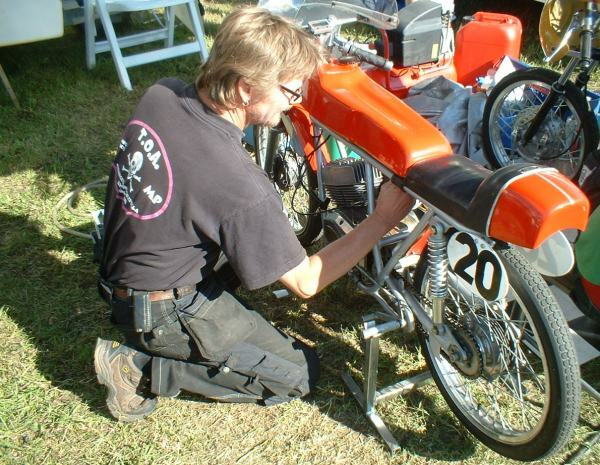 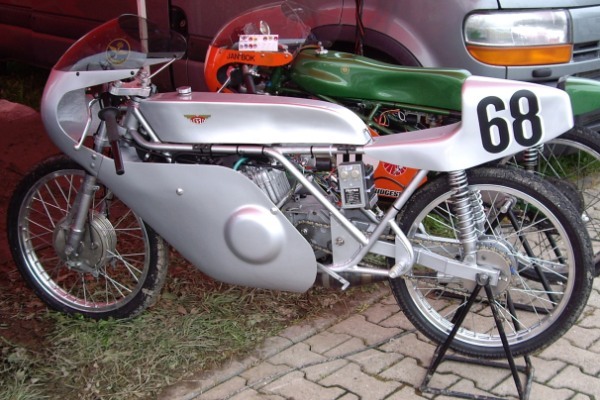 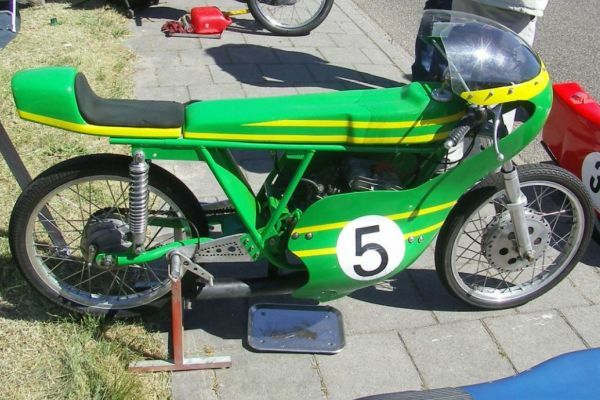 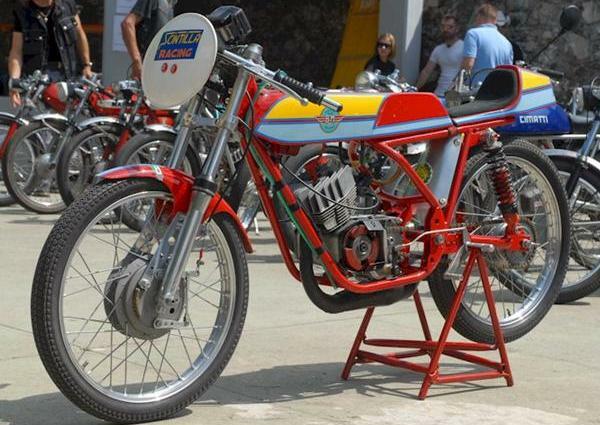 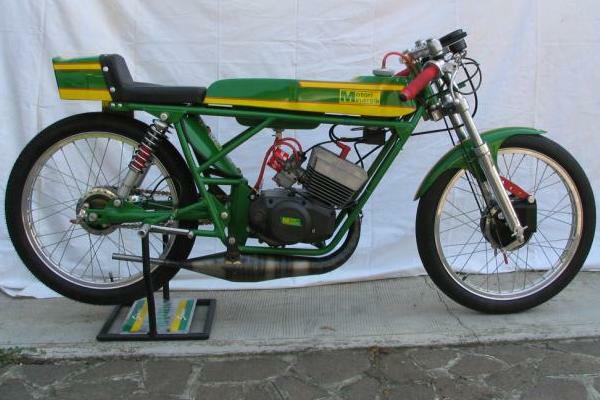 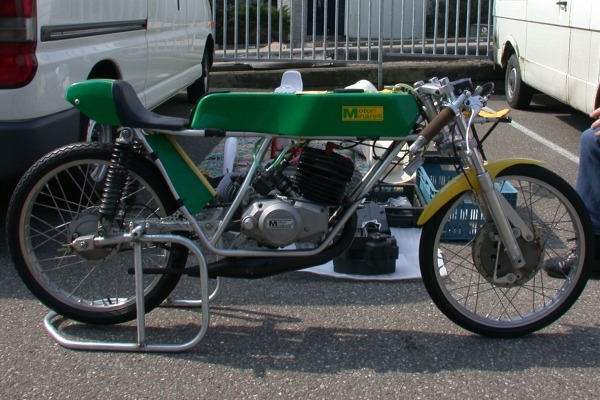 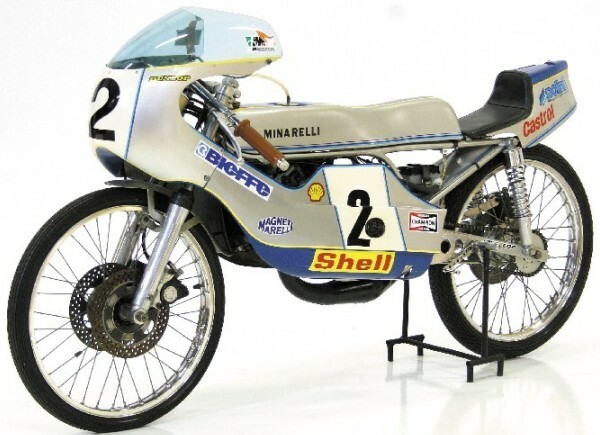 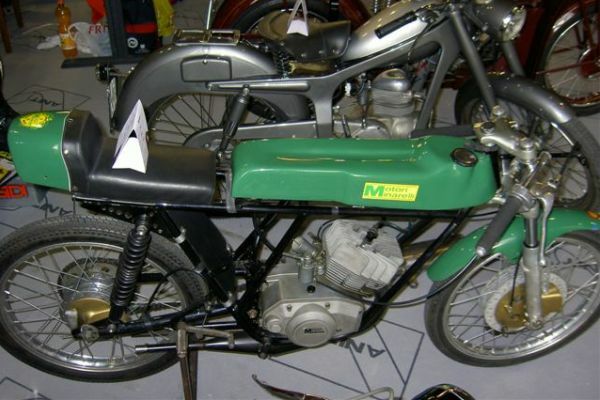 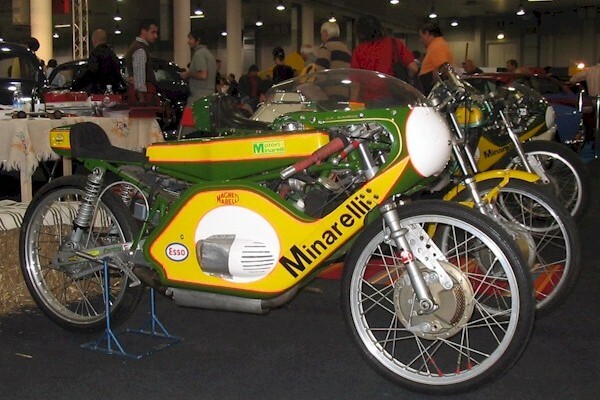 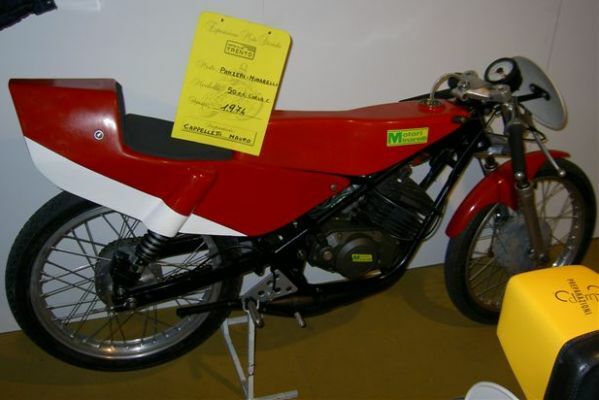 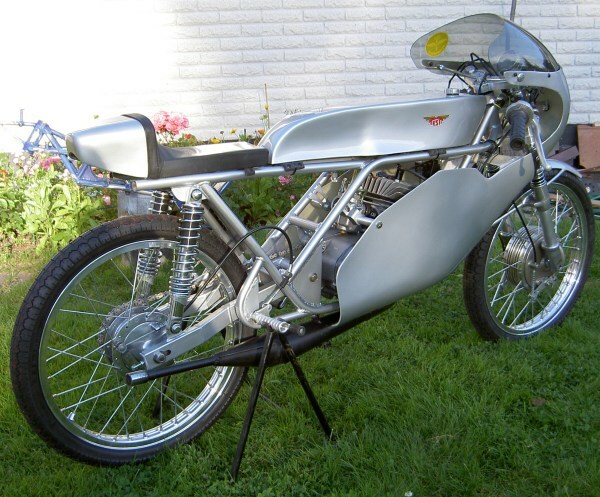 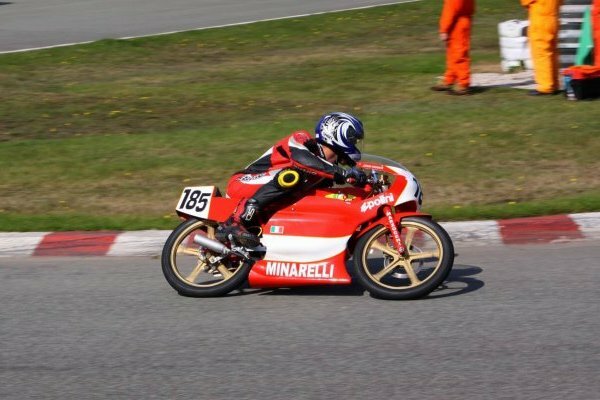 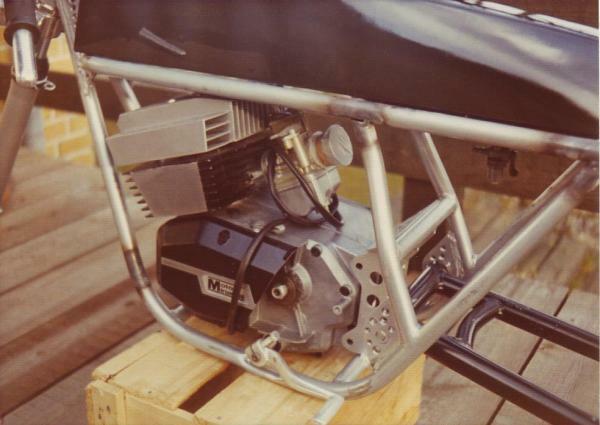 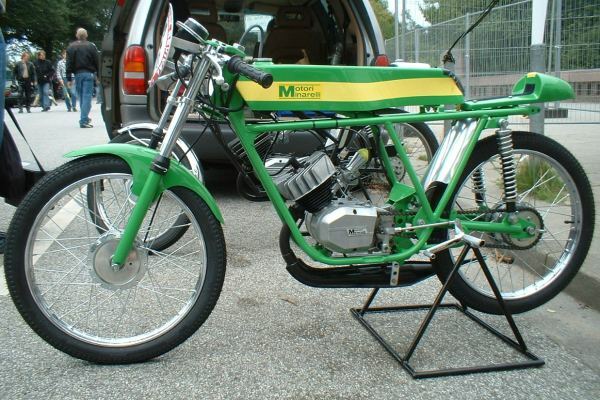 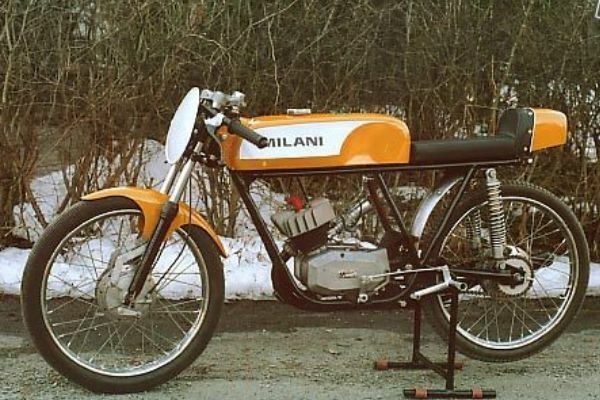 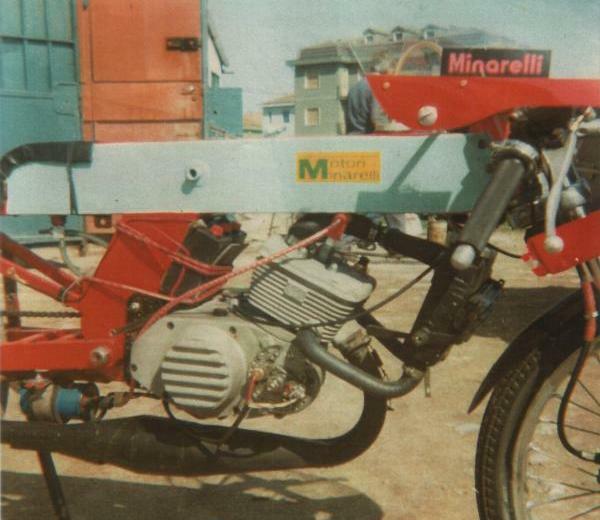 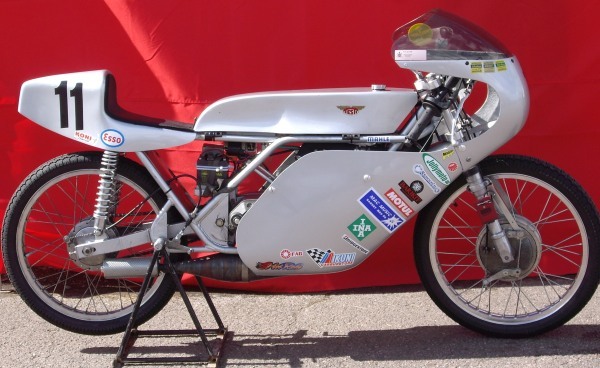 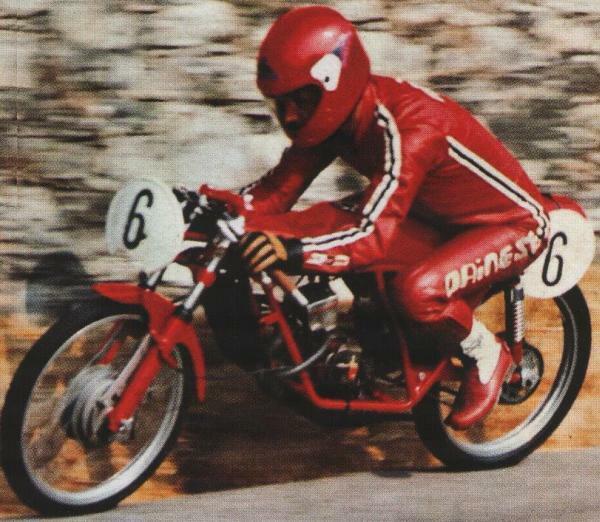 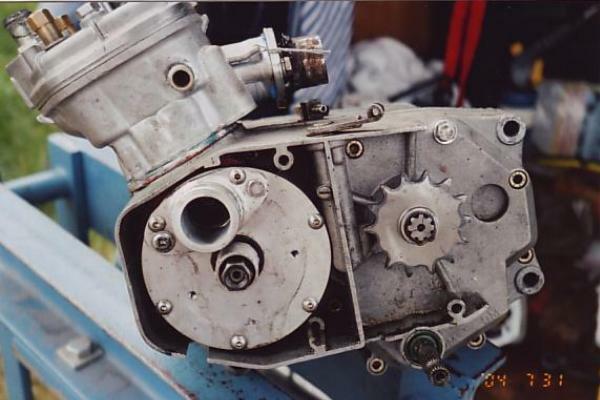 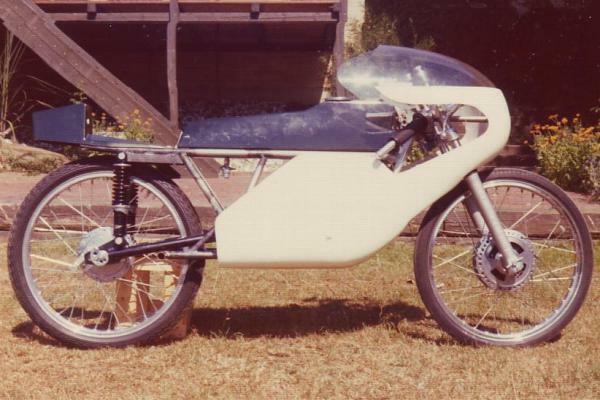 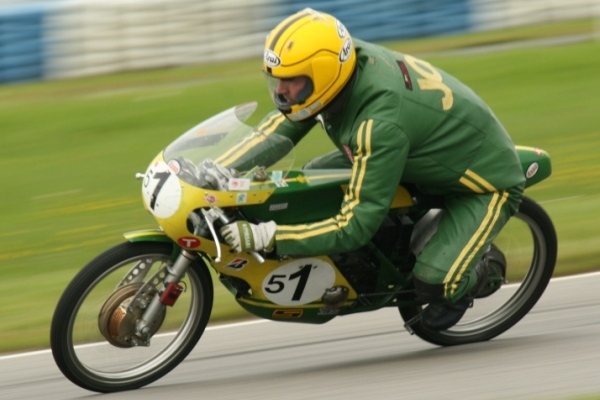 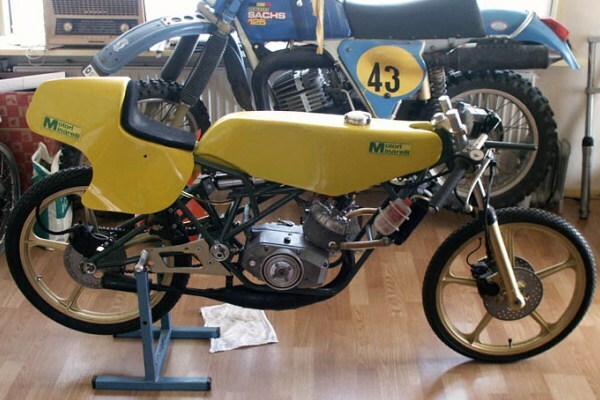 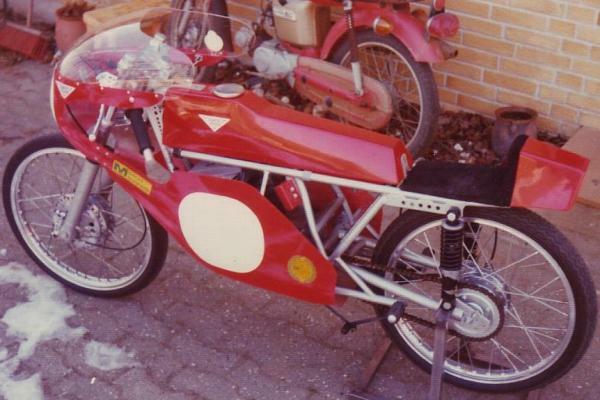 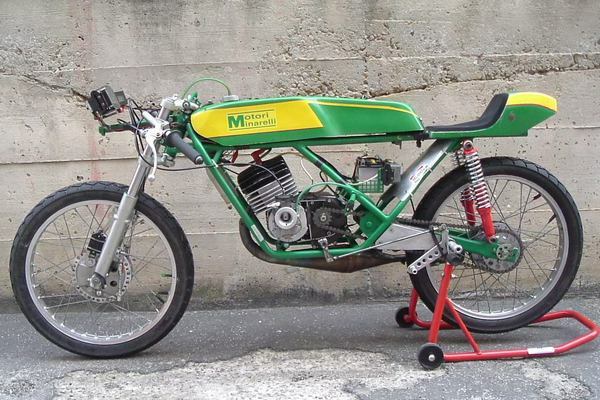 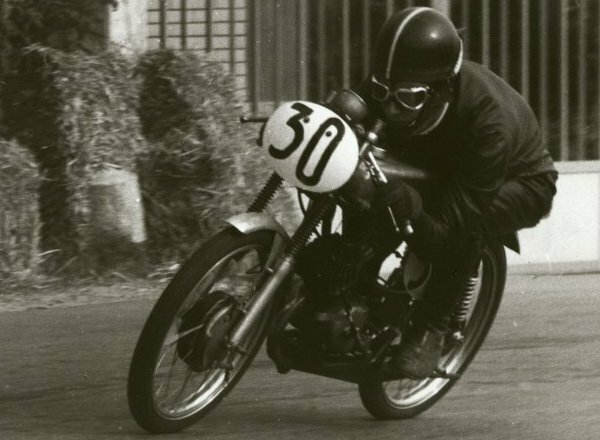 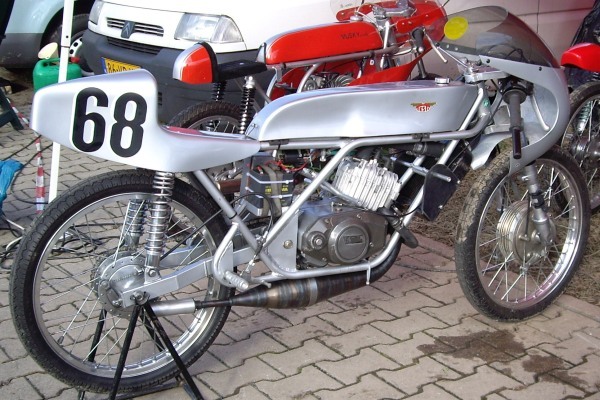 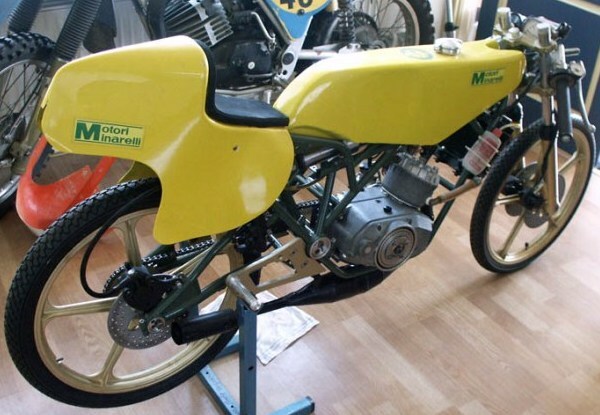 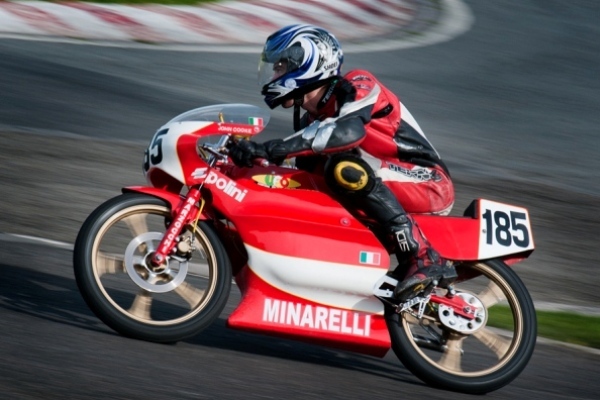 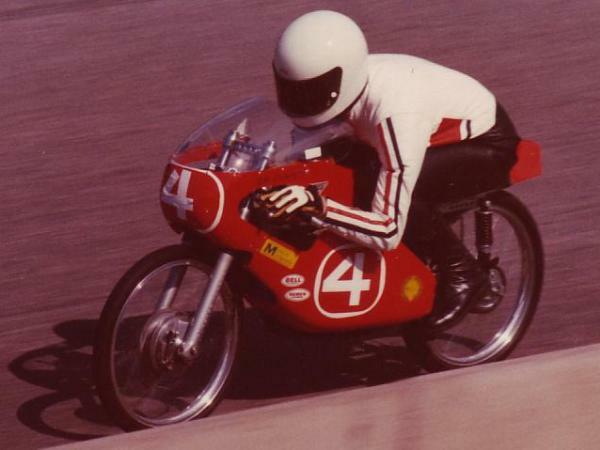 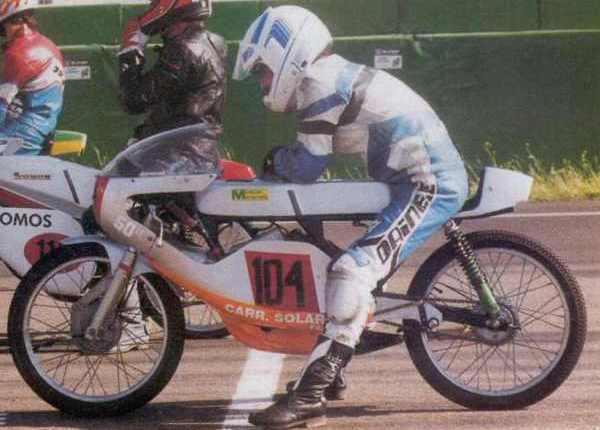 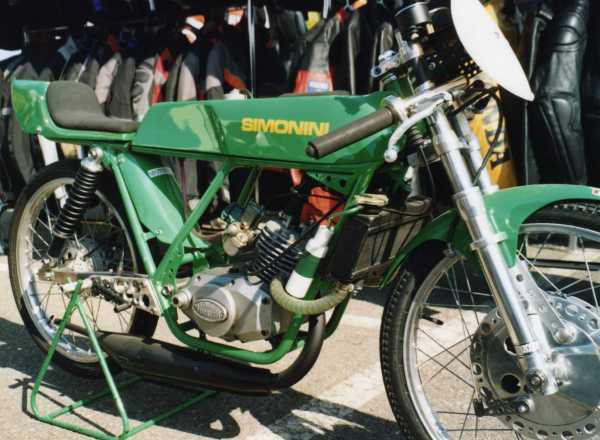 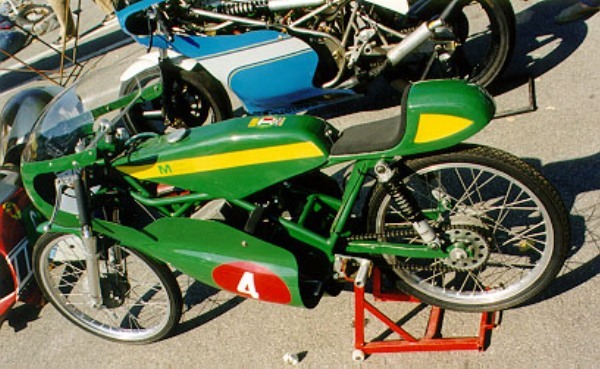 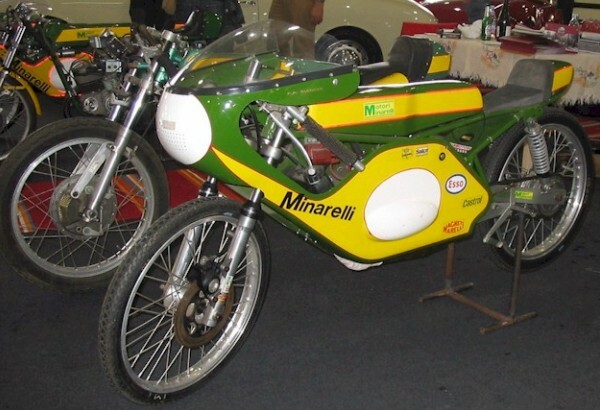 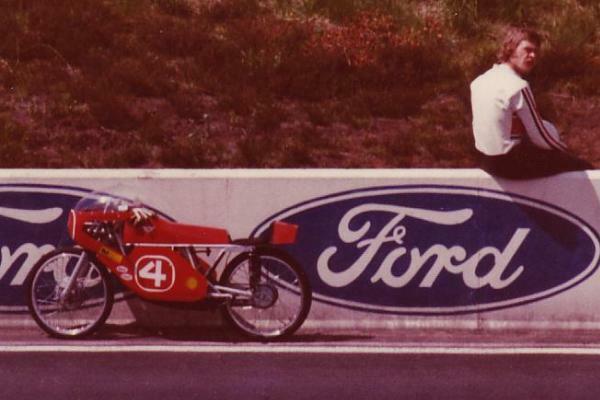 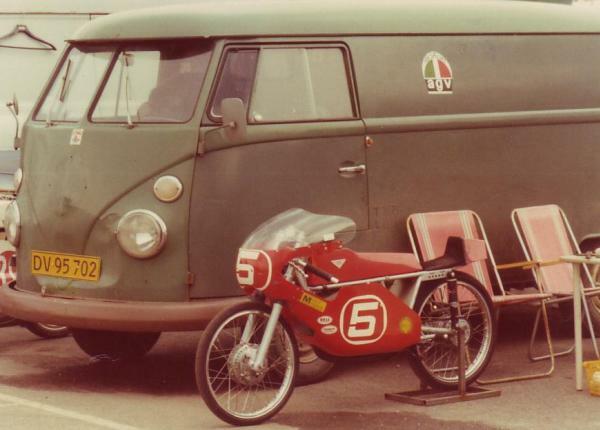 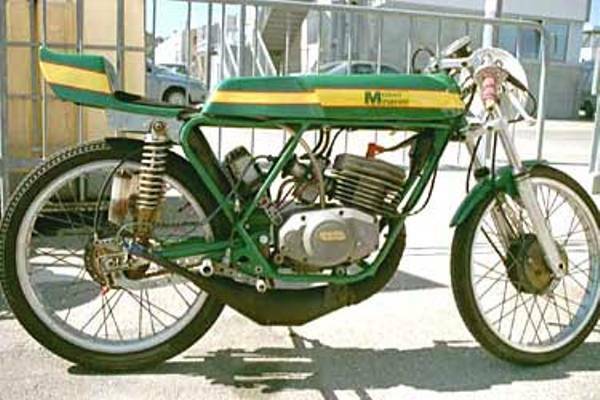 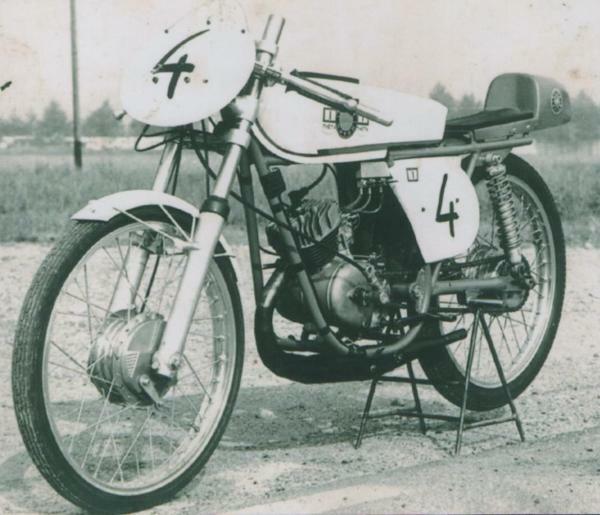 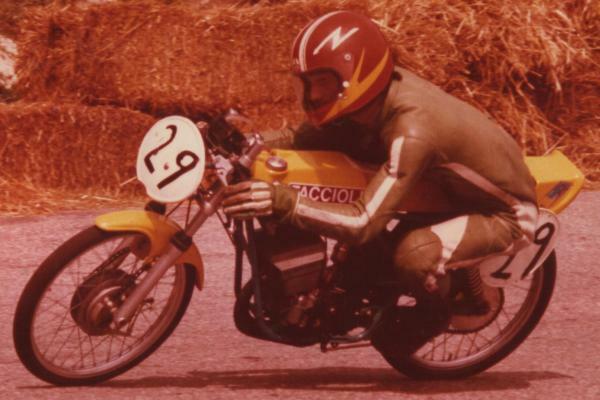 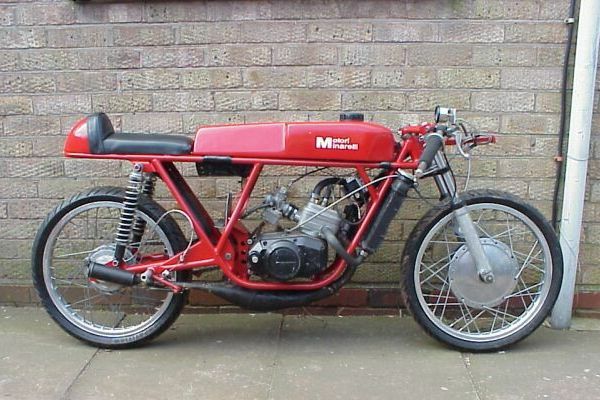 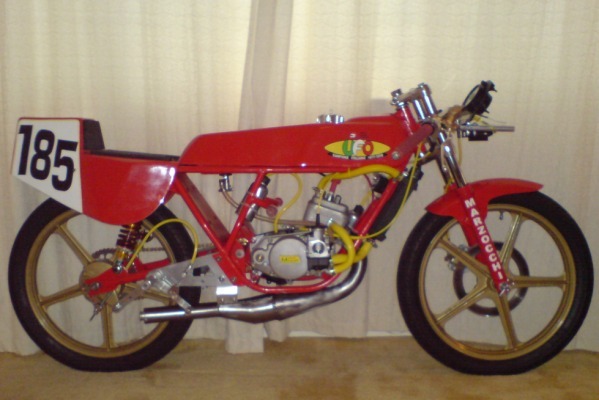 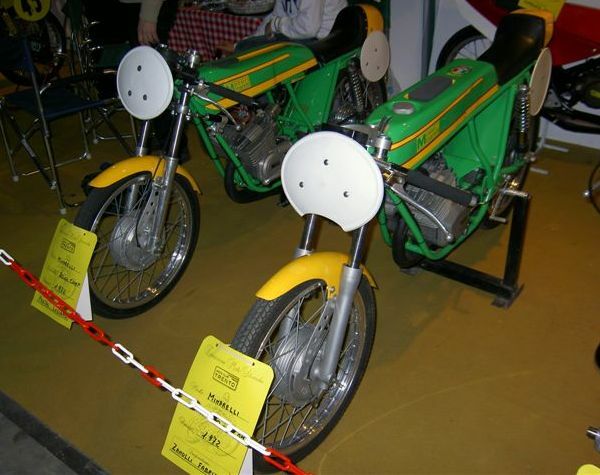 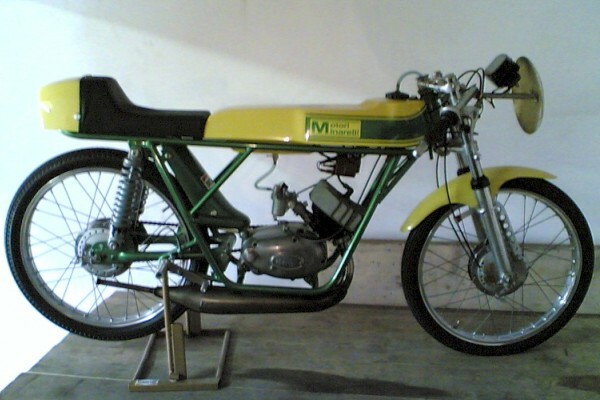 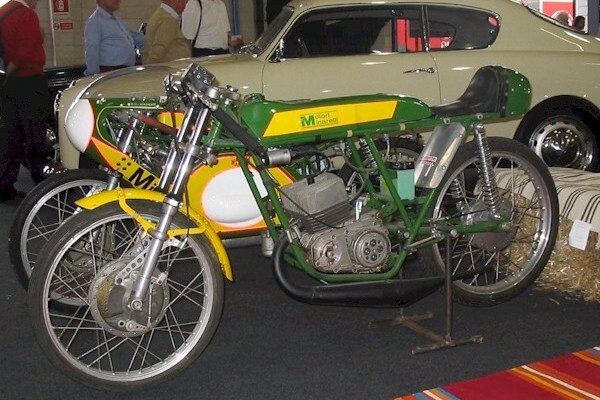 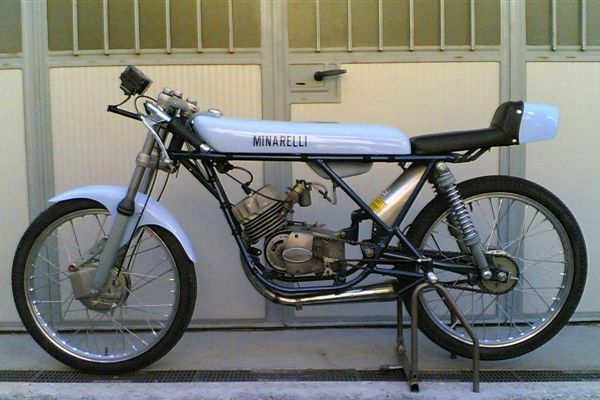 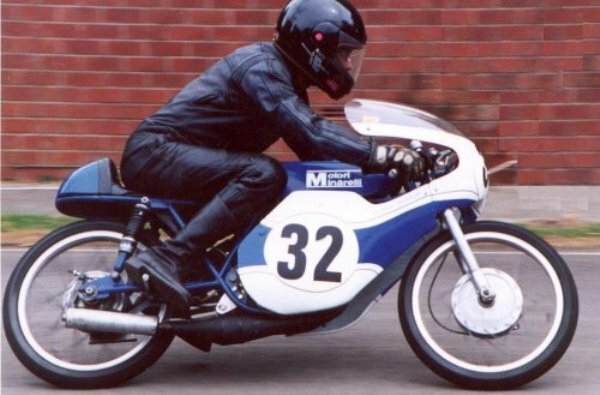 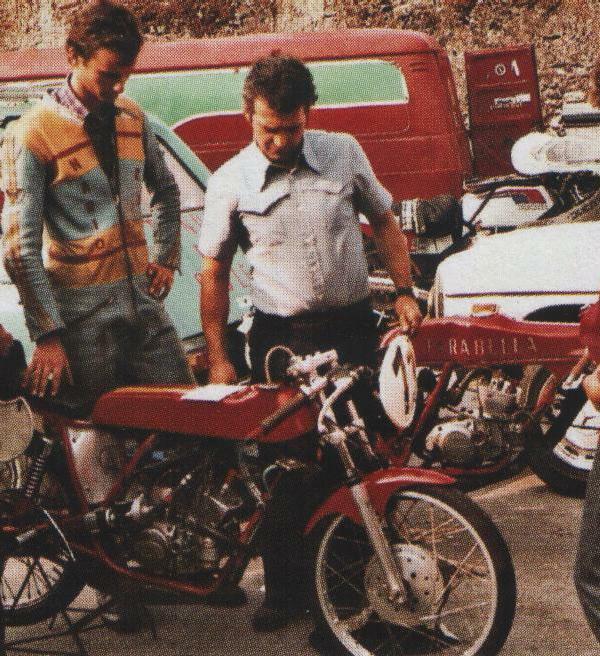 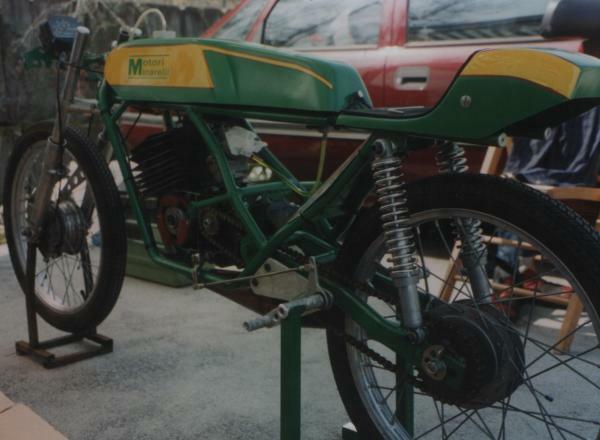 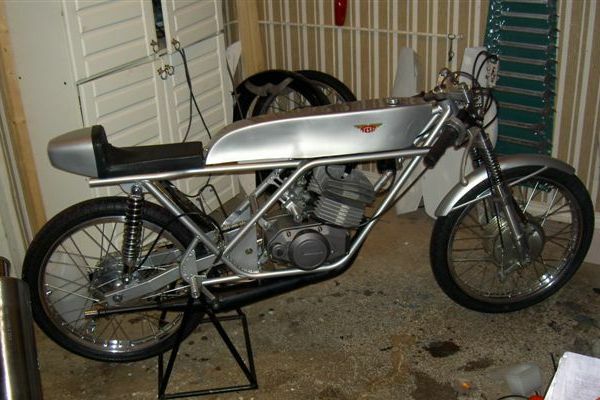 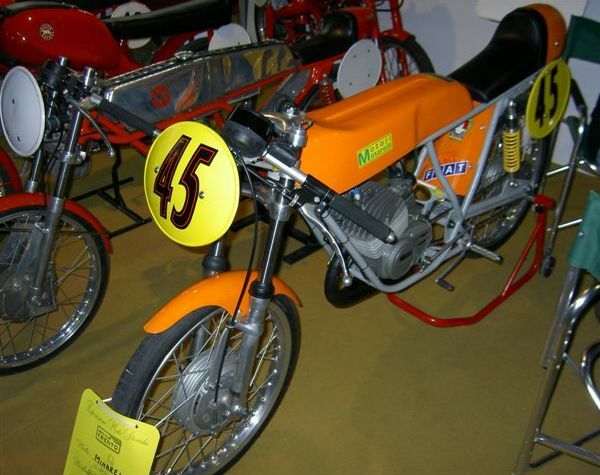 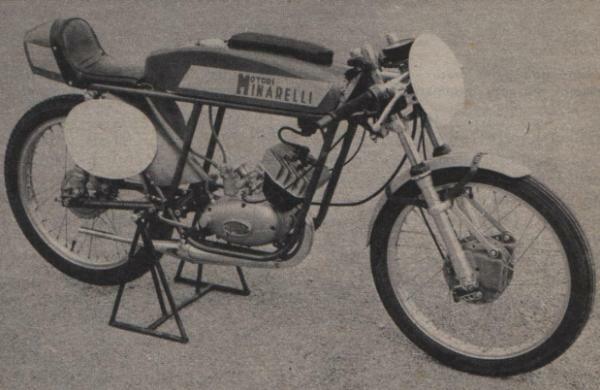 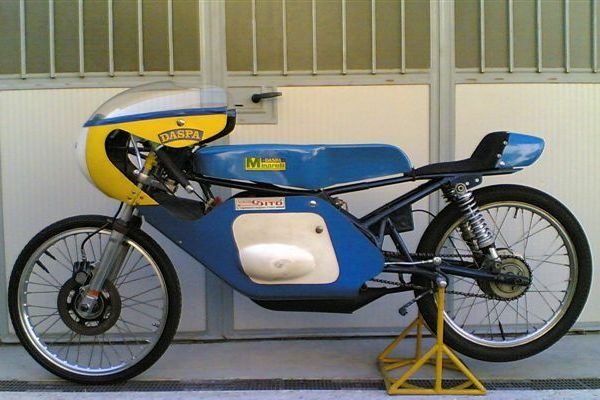 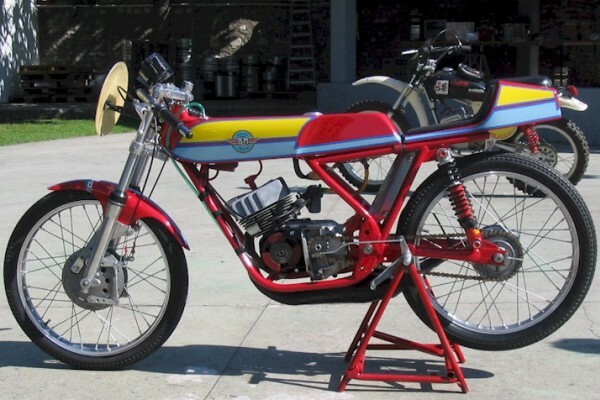 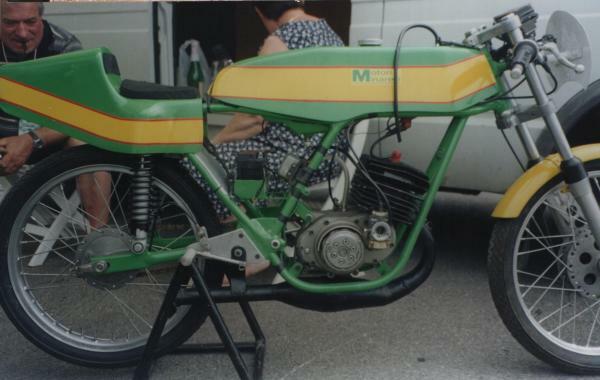 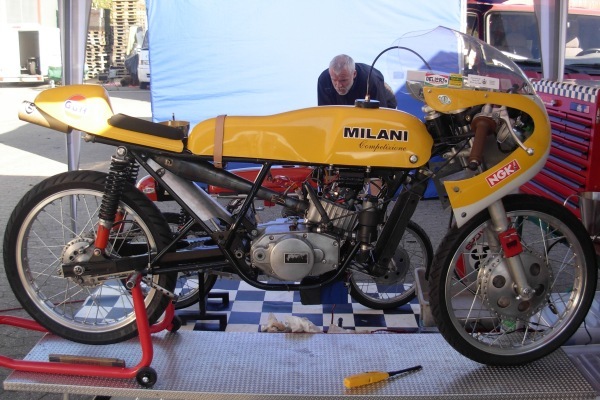 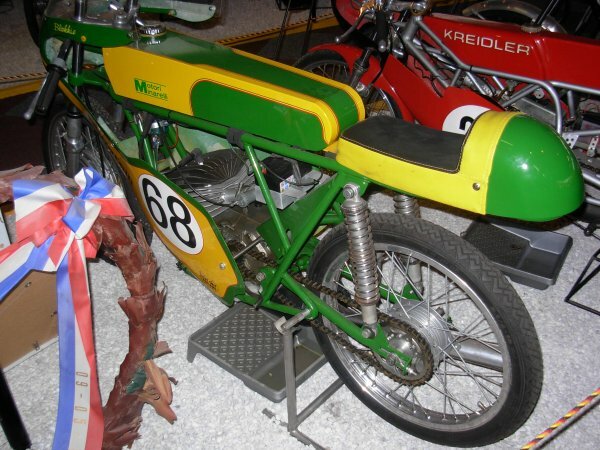 Denmark didnt see many 50cc racers during the seventies, but Poul Erik Oversø built himself a Minarelli P6 powered- racer, and joined the 125 class. 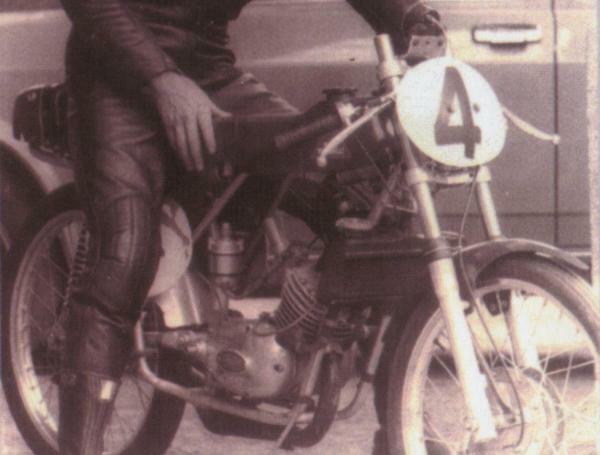 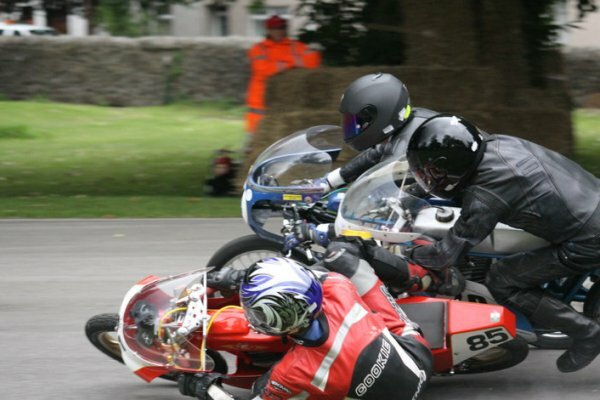 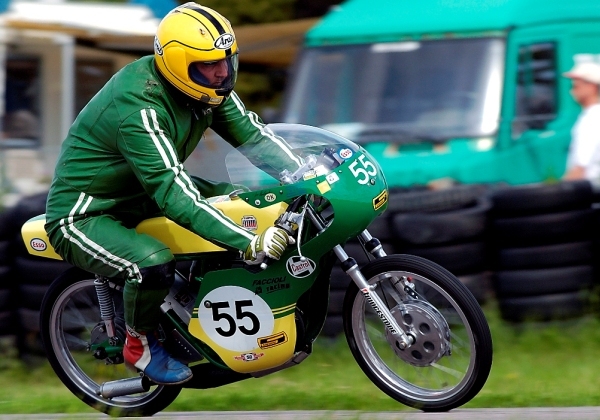 Quite a few 125 drivers, learned the hard way, as Poul Erik zoomed by in the bends! 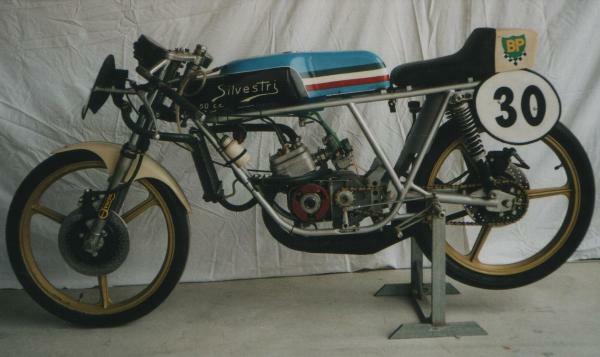 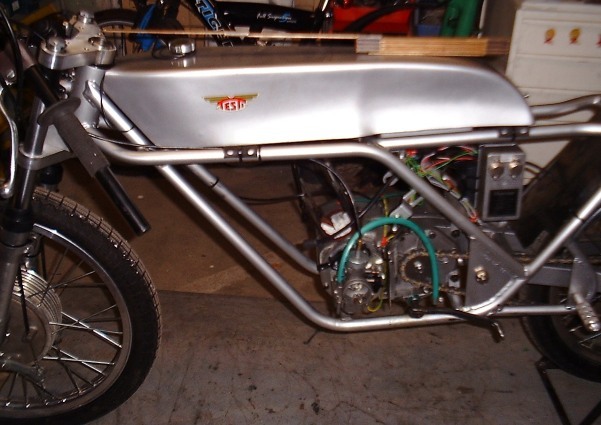 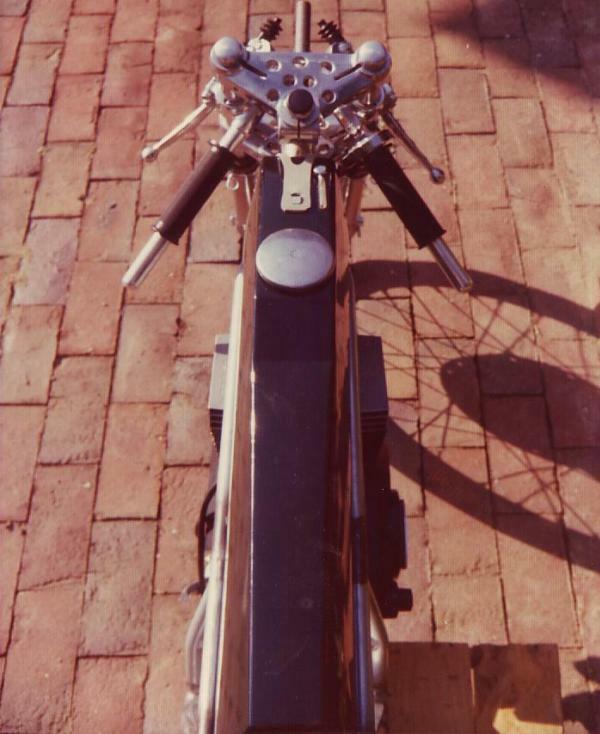 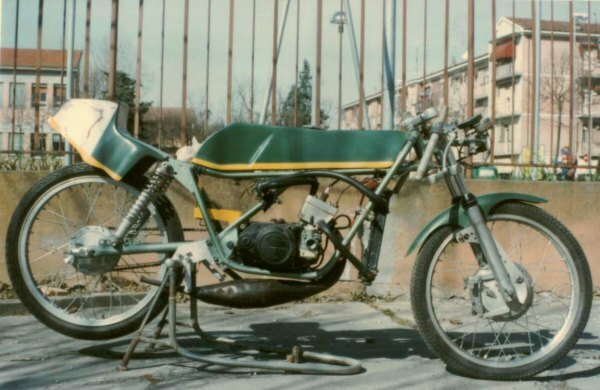 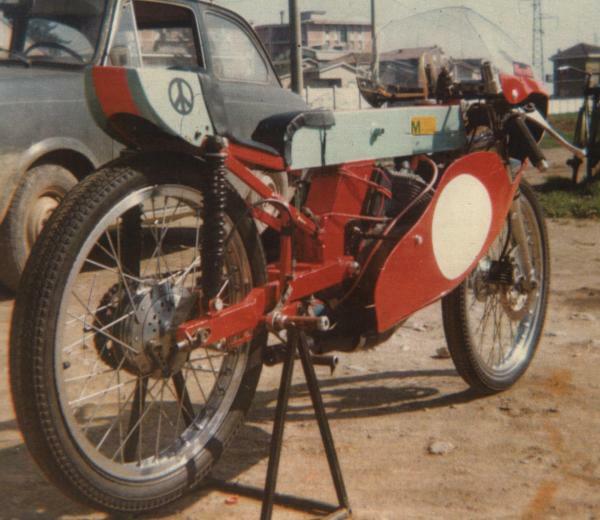 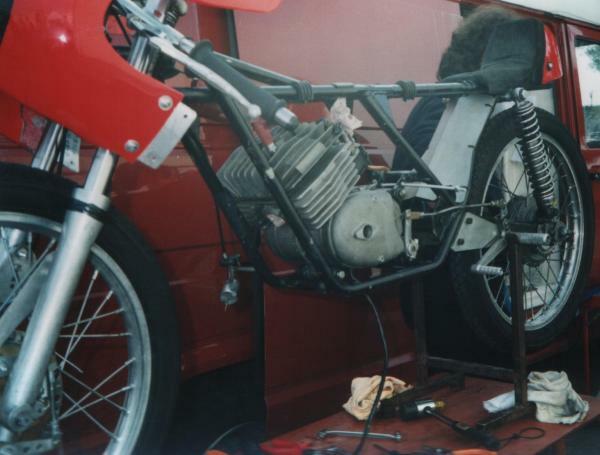 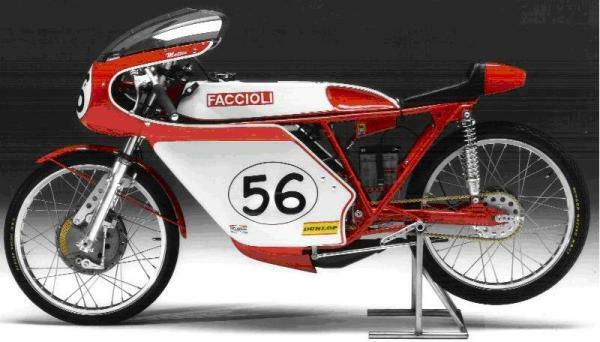 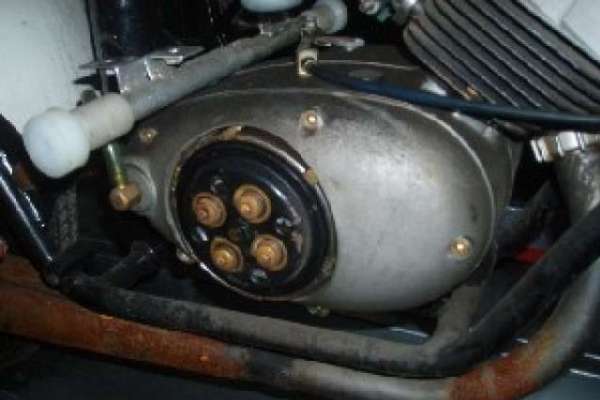 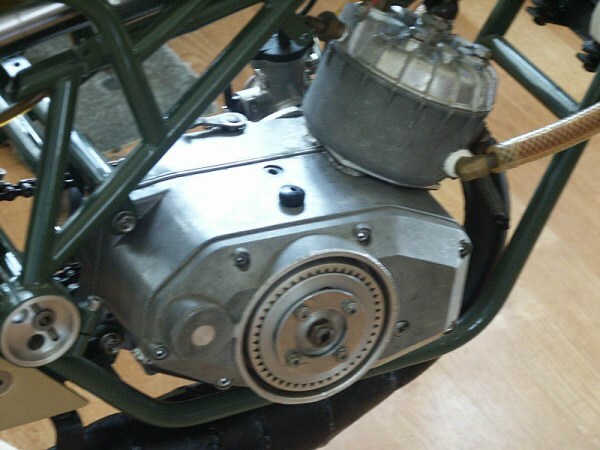 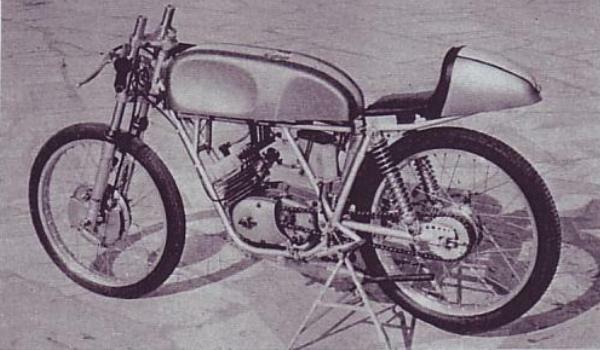 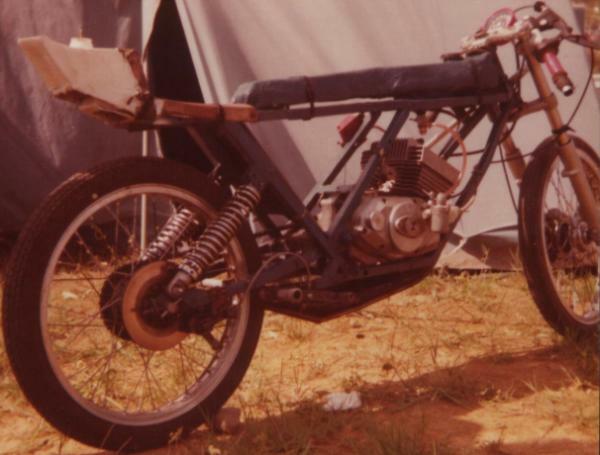 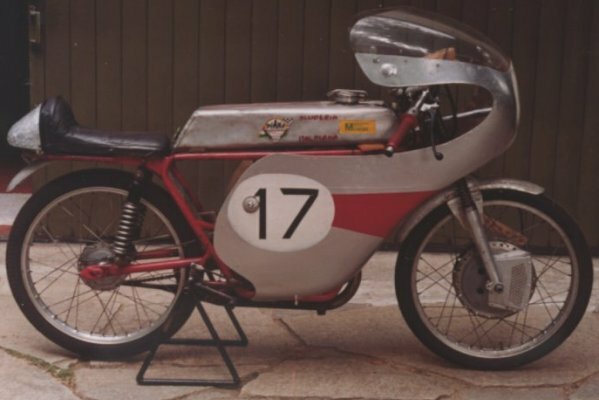 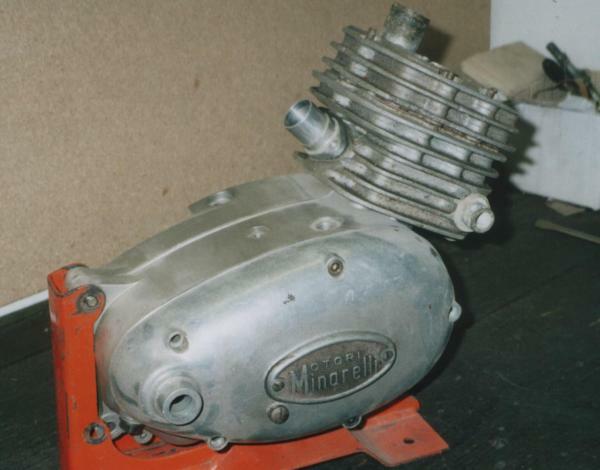 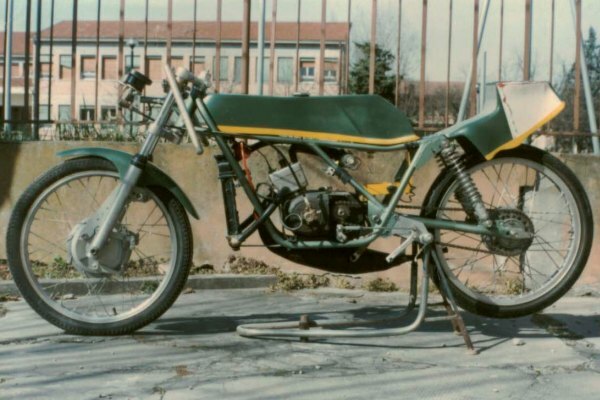 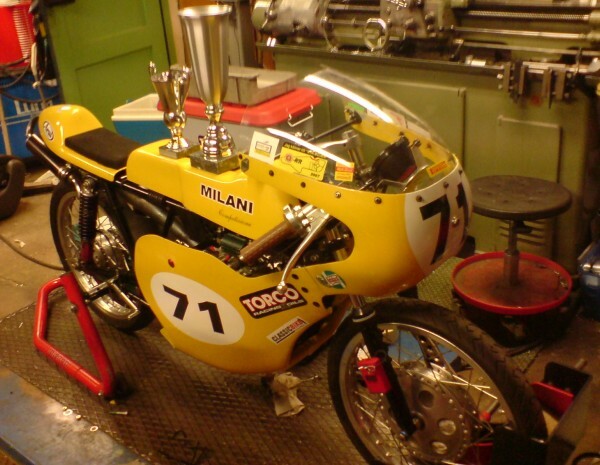 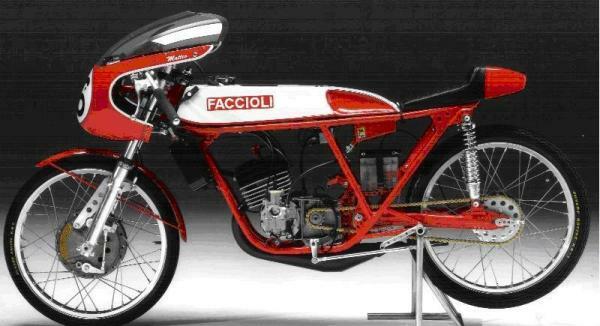 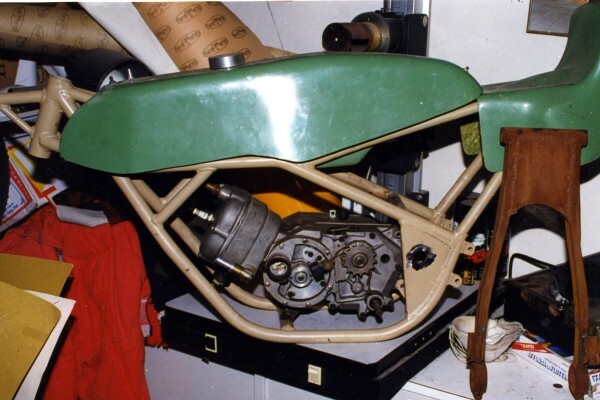 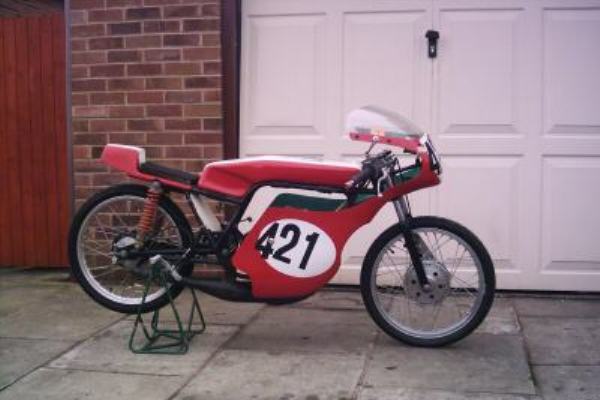 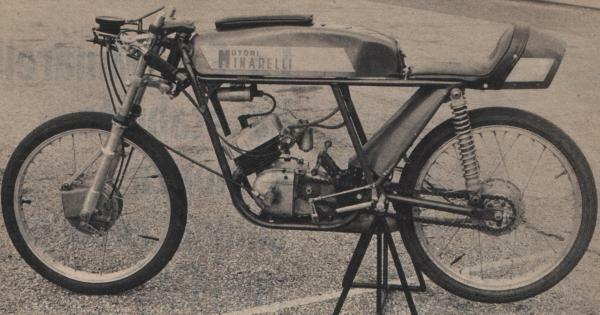 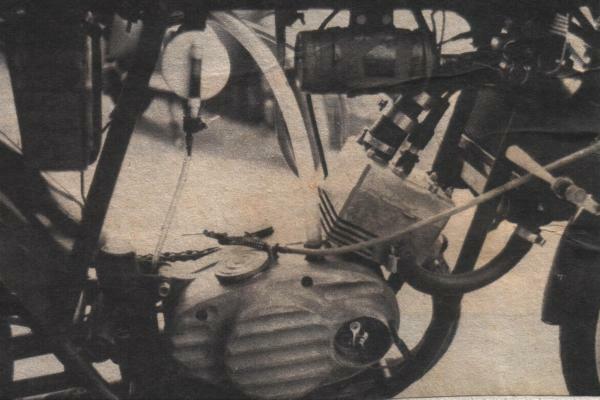 Later this racebike were used as a wall- decoration in a watch shop!